What does a healthy curl have? It has hydration, strength and definition. How do we get this? By taking proper care of our curls and using the right products. When we see shiny, moveable curls, we know they’ve been hydrated properly and that they’re not brittle and dry. Did you know when your hair becomes frizzy it’s your hair’s metaphorical hands reaching for moisture? If you walk outside after the rain or into the bathroom right after someone has taken a shower and you see your hair immediately grow outward, it’s because it’s reaching toward the moisture. It’s trying to absorb as much as possible, which is a clear indicator that your strands are quenched and could use some TLC in the form of hydration. Curls have seemed to become the highlight of the beauty industry this year – and for good reason. Cutting, styling and caring for curly hair is a completely different experience than that of a person with straight hair. Each curl has a life of it’s own and needs to be addressed in such a way. Typically, we can always count on curly hair to be extremely dehydrated. That’s part of the equation as to what makes hair curly. The thirstier it is for water, the more tightly wound it becomes. This is why it’s important to reinforce hydration through the products we use. And it’s not only important to use the right products, but to use them correctly and synergistically. Some products work better together, while some work at their best as individuals. Some work optimally on dry hair and others work best when hair is wet. 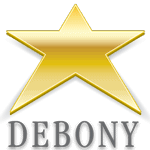 It’s important to us at Debony Salon, that you know just how to use these products and cocktail them appropriately so you can get the most of your products. It’s our job as stylists to listen to your goals and wants for your hair and how you want to mold it when you’re at home. When you take your products with from the salon, we want to ensure you’re using them to their full potential and are happy – not frustrated – with the results. MoroccanOil has just debuted their new Curl Collection, which features a curl shampoo and conditioner, curl cleansing conditioner and curl re-energizer. You can look at this new line as a hybrid of the Smoothing and Hydration lines, with the power of knowing exactly what your curly hair needs. This cleansing conditioner is a great way to wash hair without having to shampoo it daily. If you find that you like to skip a few washes throughout the week, but feel as though your scalp could still benefit from a good scrub, this conditioner is a great substitute for regular hair washings. Tea Tree Oil is an ingredient in this cleanser, so it leaves the scalp feeling clean and avoids drying your hair out, which can sometimes happen when you shampoo your hair daily. It’s also a great option for color-treated hair, especially those with bright fashion shades, because it doesn’t pull color with each wash. Due to its lack of lather, it doesn’t wash color out as quickly as normal shampoo does. This product is a great one to have in your back pocket. It is almost like a curly-girl’s answer to dry shampoo. It re-awakens curly hair after a few days between washings. Even if you have naturally straight hair and have been enjoying a curled style, this spray can re-invigorate your curled look after a night of being slept on. It’s a light-weight formula that doesn’t bog the hair down. You simply spray it into your “gently worn” hair to help bring the spring back into your curls. You can add a little more love to the some of your flatter curls by going over it with an iron or a diffuser again, if you feel it’s needed. One thing to know about the re-energizing spray, and any of the Curl Collection products, is that they work synergistically. They’re meant for one another, and don’t work to the best of their ability when paired with outside products. For example, if you use the Re-Energizing spray and find that your curls become crunchy, it could be because the spray is activating another product’s residue, left by a previous style. The Re-Energizing Spray is not meant to be crunchy. If it is, then there may be an outside factor going on with your hair. 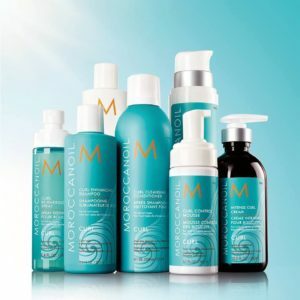 “Moroccanoil Curl Control Mousse is formulated specifically for very curly and tightly spiraled hair. It shapes and tames tightly coiled curls while sealing in moisture to keep curls controlled without the crunch.” It’s important to note that you need to get 50-60% of moisture out of your hair to use curl defining mousse and get the most from it. Come into the salon and try one or all products. We highly recommend feeling each product in your hand and asking questions about them so you know exactly how to use them when you get home.